For its part, the Christian Islamic Commission for the support of Jerusalem and holy sites today condemned the attack on the cemetery of the monastery, desecration of the sanctity of graves and religious symbols inside the cemetery, and breaking the tombstones and the number of 27 crucifix concrete. PNN notes that the monastery was subjected to previous years of numerous attacks by settlers and attempts to burn and a line of racist slogans in Hebrew on the walls. 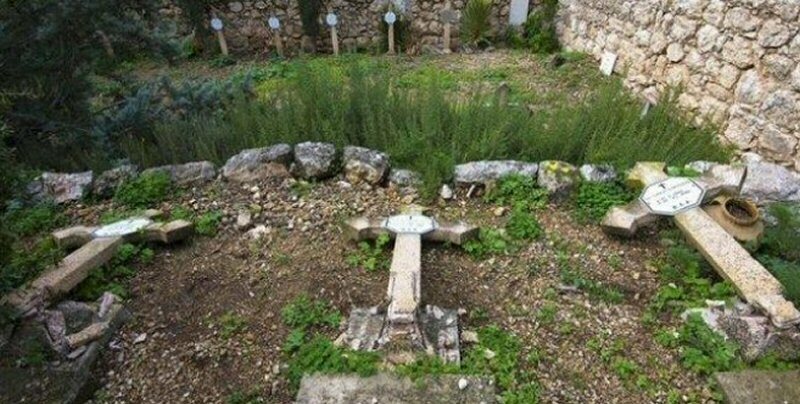 Where the monastery was subjected to a similar attack on September 27, 1981, and the monastery was desecrated in March 2014 when anti-Christian slogans were written on its walls and another attack on 9/1/2016, breaking dozens of crosses in the cemetery.